This thriller brilliantly evokes 1973 Moscow and a world of diplomacy and counter-espionage. Escaping failure as an undergraduate and a daughter, not to mention bleak 1970s England, Martha marries Kit - who is gay. Having a wife could keep him safe in Moscow in his diplomatic post. As Martha tries to understand her new life and makes the wrong friends, she walks straight into an underground world of counter-espionage. Out of her depth, Martha no longer knows who can be trusted. 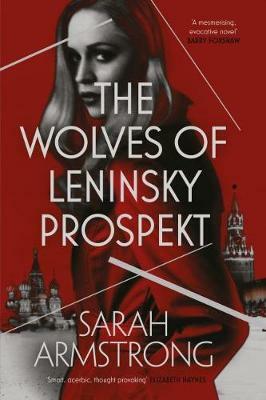 The Wolves of Lennisky Prospekt is by Sarah Armstrong. 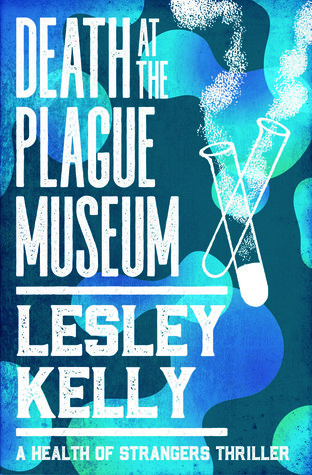 Death at the Plague Museum is by Lesley Kelly. Edinburgh is in the grip of a deadly flu pandemic. One Friday, three key civil servants working on Virus policy hold a secret meeting at the Museum of Plagues and pandemics. By Monday, two are dead and one is missing. Mona, Bernard, and their other colleagues at the North Edinburgh Health Enforcement Team set out to find the missing bureaucrat, their investigation bedevilled by political interference. The museum has a few deadly secrets of its own. But not to worry – Bernard is a card-carrying Museum member. July 1932. When a drowned man is found in a freight elevator in Haus Vaterland, the giant pleasure palace on Potsdamer Platz, Inspector Gereon Rath is called in to investigate. It's not that Rath hasn't problems enough. His hunt for a mysterious contract killer has been stalled for weeks, and his on-off lover, Charlotte Ritter, has just begun her probationary year with Berlin CID. The corpse in Haus Vaterland looks to be part of a series of murders whose trail leads eastwards to the Polish border - and beyond. 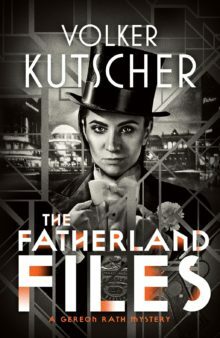 The Fatherland Files is by Volker Kutscher. Finer Things is by David Wharton. London: 1963. The lives of a professional shoplifter and a young art student collide. Delia needs to atone for a terrible mistake; Tess is desperate to convince herself she really is an artist. Elsewhere in London, the Krays are on the rise and a gang war is in the offing. Tess's relationship with her gay best friend grows unexpectedly complicated, and Delia falls for a man she's been paid to betray. At last, the two women find a resolution together - a performance that is both Delia's goodbye to crime and Tess's one genuine work of art.